Taking the 50th anniversary of the Banana Album as the prompt to put on the exhibition, New York Extravaganza traces the Velvet Underground’s meteoric career. At the same time thematic and chronological, the narrative provides several focuses. Firstly, there is an overview of the city of New York at the time the Velvet Underground emerged, with its obedient, family-oriented lifestyle, but also its poets, film-makers and musicians, who rejected this normality and condemned its rigidity. Then, drawing on the accounts of eyewitnesses and contributors of the time, it also displays portraits of all the band’s members and investigates the relationships of the band with Andy Warhol and the role of the studio-loft, The Factory, in propelling the Velvet Underground into the limelight. There are plenty of spots fully dedicated to listening and a section dedicated to the Velvet Underground’s echoes and heritages, covering not only the musical sphere but also their connections to art, photography, cinema and fashion. While I was researching the exhibition to write this comment, I noticed a widespread use of the adjective ‘immersive’ to describe it and this made me reflect on the extent to which the exhibition is immersive. 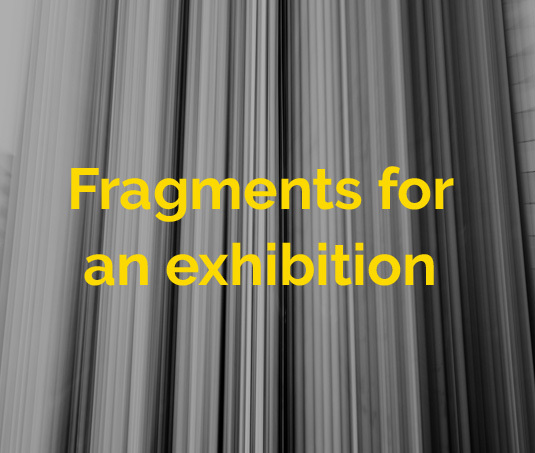 But first things first; what does it mean exactly for an exhibition to be immersive? Dictionary.com defines immersive as an adjective ‘noting or pertaining to digital technology or images that deeply involve one’s senses and [that] may create an altered mental state’. Nevertheless, when considering the realm of museum studies, the term seems not to have yet been assigned a unified definition by the literature, which means that many kinds of experiences fall into the category (Dancstep, Gutwill, & Sindorf, 2015). To make matters worse, the term seems to be offering a world of promising new discourses to the area of museum marketing, and this does not make a possible semantic convergence more likely.In the need to work scientifically with the term immersive (for a study comparing the visitor experience of immersive and tabletop exhibits), Dancstep, Gutwill and Sindorf (2015) decided to build a taxonomy for it. According to these authors, for an exhibition to be immersive, it has to deploy body-kinetic and/or sonorous experiences in such a way as to partially surround the visitor. While I believe Dancstep, Gutwill and Sindorf have brought us valuable research results regarding their study, I might disagree with the narrow range of meaning that they give to the word. In fact, I believe that to make the immersive attributes of an exhibit exclusively dependent on surrounding the visitor with explicitly sensory experiences is quite limiting. Instead, I believe that museum studies have come far enough to challenge this meaning of the word ‘immersive’ with the result that the sensory environments mentioned by Dancstep, Gutwill and Sindorf are included alongside the more conventional multimodal dimensions, such as the narrative, texts panels and labels, images, and so forth. These can be just as effective in ‘surrounding’ visitors, providing them with an immersive experience and enabling subjectivities and meaning. New York Extravaganza is a typical example of a museum practice that understands the word ‘immersive’ as something that can only be provided by digital devices. Whereas the aim to produce immersive experiences and sensory engagement by drawing on the untapped opportunities provided by sound, films and scenography is, from my point of view, certainly reached in the exhibition, the same cannot be said of the narrative itself.In fact, the scenography superbly plays with the New York’s architecture and references. A live music space where museum-goers are invited to lie down and enjoy the music is among the best solutions to the challenge of exhibiting music in a museum that I have ever seen. At the same time, spaces for listening in privacy are offered: each visitor is given personal headphones at the beginning of the exhibition, which can then be easily plugged in at specific spots for individual enjoyment. As for the written narrative, on the other hand, New York Extravaganza seems to fit a more conventional approach. Globally speaking, it offers a usual historical-thematic discourse similar to possible countless magazines or books on the subject. This is not to say that it does not deliver worthy and truthful information but that, like a blockbuster product, its stance helps to portray the band as heroic and mythical rather than drawing and expanding on the diversity of experiences the audience might have had with it. Furthermore, by using the third person voice as the driver of the texts, the curators are not acknowledging the uniqueness of their own curating gesture and the texts ends up assuming the form of definitive knowledge ready to be consumed and absorbed. Ultimately, the narrative does not provide museum-goers with opportunities to negotiate its contents. In the most general terms, this results in a communicative gesture unable to ‘surround’ the visitor since the approach is invested in authority – the curators are mainly displaying expert information for museum-goers to take in (Bennett, 2013, p. 27). 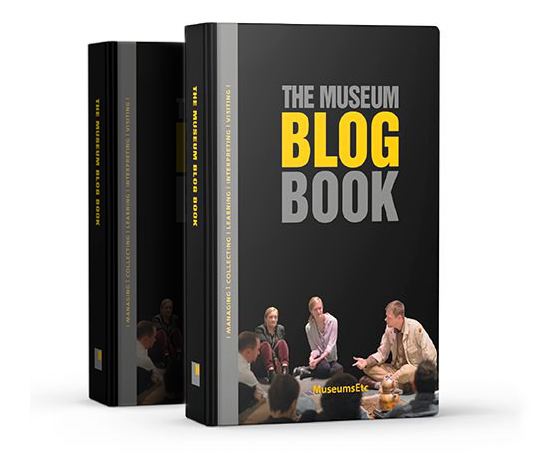 For curators’ teams, it is one of the biggest challenges to produce immersive narratives in which museum-goers are guided not only by cultural-historical conventions but also by contact points where they can retrieve their personal experiences.This is also a bold new mission for the museum studies’ agenda. To accomplish it would entail conducting long-term research with audiences so as to focus on how people relate to the music, instead of exclusively selecting which events constituted a band’s linear and remarkable history.Ultimately, words and stories also perform. Shall we start writing these new kinds of story? Bennett, S. (2013). Theatre & Museums. Hampshire: Palgrave, Macmillan. Dancstep, T. n. D., Gutwill, J. P., & Sindorf, L. (2015). Comparing the Visitor Experience at Immersive and Tabletop Exhibits (Vol. 58).